It may have been the same starting eleven that started from the victory against Raith Rovers but that was the only comparison between the performances. Although the Warriors started with promise they failed to create any real openings and once Forfar had settled from an enforced substitution when Gavin Swankie was replaced by Chris Templeman it was the home side that looked the most likely to score. It has to be said that they were given a helping hand though by some poor defending by the Stenhousemuir players. The Loons took the lead in the 15th minute when a Kerr Hay strike was blocked but wasn’t cleared before Danny Denholm pounced to fire home. Jamie Barclay made a superb stop to save from Chris T empleman in the 25th minute but he was helpless two minutes later when Denholm scored his second goal sweeping home after clever footwork from Templeman. Hay extended their lead in the 33rd minute when Hay latched onto a slow ball in the box to fire home. The Warriors were given a lifeline in the 36th minute when a Stephen Stirling cross was headed in Jon Robertson’s path by Allan Smith. Robertson showed composure to wait on the ball settling before dispatching the ball past Rab Douglas. Two minutes later Forfar scored their fourth and once again there was a touch of good luck as a corner to the back post was met by Michael Travis and his header struck the back of the head of a Stenhousemuir player before going into the net. In the last minute of the half Alan Cook had a good chance but hesitated and Michael Dunlop was able to block the effort. The second half saw Colin McMenamin come on as the Warriors tried to add to their firepower in an attempt to get back into the game but apart from half chances it took until the 67th minute before either keeper was called into action. Douglas making a simple save from a Smith effort from 12 yards that went straight to the keeper after being picked out by Cook. In the 73rd minute Cook himself had an effort that went wide but although they tried hard they were unable to make the vital breakthrough against a Forfar back line that had been rejigged after a couple of first half injuries. Forfar almost had the final say when Derek Young’s strike from the edge of the box was pushed out for a corner by Barclay. In the end the home side were convincing winners and went to the top of the table as they maintained a 100% league record. 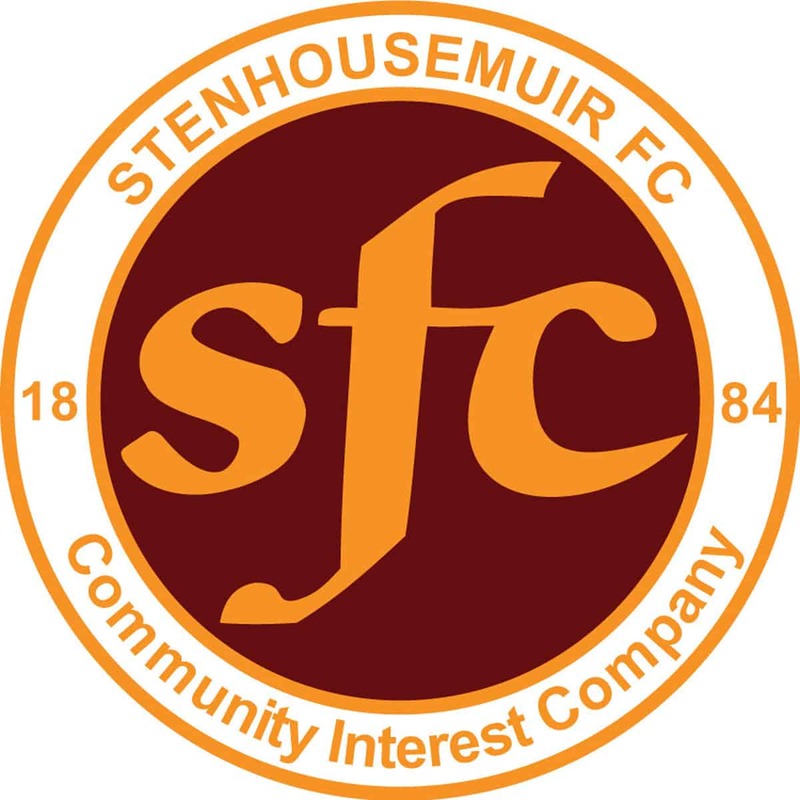 Stenhousemuir though were their own worst enemies in this game contributing to their own downfall and although they never gave up the game was effectively finished by half time.